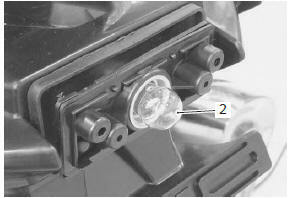 Remove the license plate light mounting nuts. Remove the lens cover (1) by removing the screws. Replace the bulb (2) with a new one. 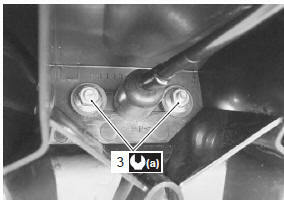 Tighten the license plate light mounting nuts (3) to the specified torque.